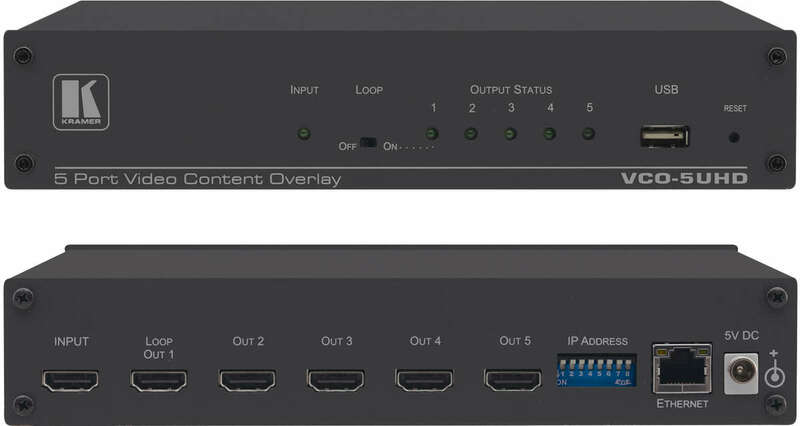 The Kramer VCO-5UHD is a video content overlay solution that overlays five independent graphic images to any number of displays over standard HDMI in resolutions up to 4K60 (4:2:0). 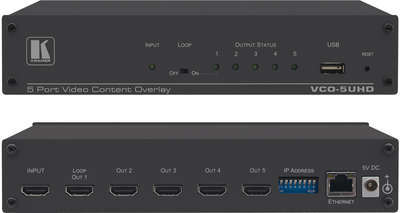 This enables the display of individual, targeted messages for each and every display in your installation. 4K60 4:2:0 Overlays - Static or animated, dynamic colour image. Overlays Any Size Content - With full transparency control. Selectable Looping Output - For daisy-chaining any number of displays. Easy to Use - Feature-rich software – design, schedule, and display.